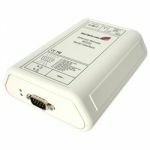 The NETRS2321POE 1 Port RS232 Serial Ethernet Device Server - PoE (Power Over Ethernet) allows you to install your RS232 devices anywhere on your TCP/IP Ethernet WAN/LAN, and access them as if they were right beside you - even over the Internet! The Serial Device Server is designed to function seamlessly with your other integrated and add-on serial ports as if they were right inside your computer. 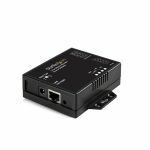 Perfect for industrial automation, security, Point of Sale, or any long-range serial application, delivering reliable performance in any environment. 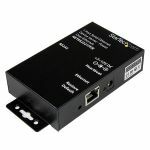 The Ethernet/serial device server supports PoE (Power over Ethernet) when connected to a PoE compliant device - eliminating the need for an external power supply and outlet, and making it easier to situate the device server as needed.